Reflections on land use policy and practice. 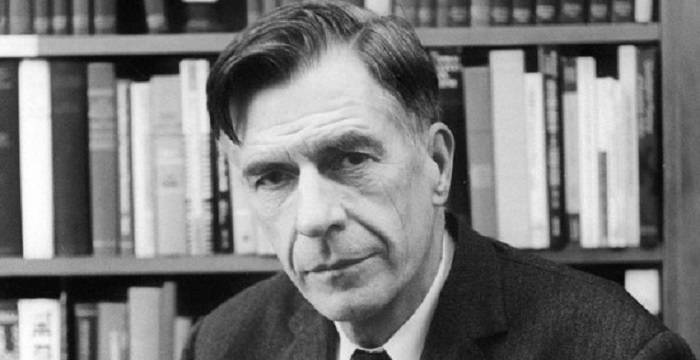 In The Affluent Society, John Kenneth Galbraith suggests that the field of Economics has not sufficiently evolved to account for widespread material abundance, which is itself a recent condition anywhere in the world. Galbraith argues that the affluent society is different in kind, not just degree, from the generalized deprivation that prevailed for most of human history. He further argues that one of the more significant and troubling features distinguishing the affluent society is the pervasive manufacture of consumer demand. “If the individual’s wants are to be urgent they must be original with himself. They cannot be urgent if they must be contrived for him. And above all they must not be contrived by the process of production by which they are satisfied. For this means that the whole case for the urgency of production, based on the urgency of wants, falls to the ground. One cannot defend production as satisfying wants if that production creates the wants. Were it so that a man on arising each morning was assailed by demons which instilled in him a passion sometimes for silk shirts, sometimes for kitchenware, sometimes for chamber pots, and sometimes for orange squash, there would be every reason to applaud the effort to find the goods, however odd, that quenched this flame. But should it be that his passion was the result of his first having cultivated the demons, and should it also be that his effort to allay it stirred the demons to ever greater and greater effort, there would be question as to how rational was his solution. Unless restrained by conventional attitudes, he might wonder if the solution lay with more goods or fewer demons. Marketing’s capacity to spark and fan the flame it promises to quench has only grown in sophistication since The Affluent Society was published 61 years ago, and part of this evolution has been the selective merger of political and commercial agendas, including, notably, by many self-proclaimed subversives and revolutionaries. A few astute social critics have noticed. In 1997, with an apparent nod to the concept of “manufactured consent” made famous by Noam Chomsky, The Baffler published Commodify Your Dissent, which is a collection of essays cataloguing many of the ways in which the counterculture creates late capitalism and vice versa. 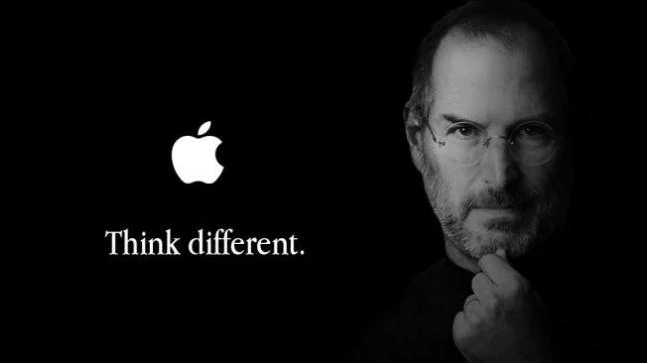 One prominent example is the trope of the “rebel” consumer, in which choosing a given brand is conflated with revolutionary political action or is carefully deployed toward the formation of an “alternative” or transgressive social identity. In this move, shopping becomes an integral part of the process of self- and meaning-making. Naturally, the rebel consumer is mirrored by the rebel corporation which eagerly co-opts countercultural totems to sell, say, Chryslers. This has led eventually to a marketing race away from superficial gestures and toward signals of authentic corporate virtue; we now see many companies which don’t merely traffic in woke social or political symbols, but explicitly take on a capacious social and political identity. It’s as if, in Romneyian parlance, corporations really are people, my friend. To complete the picture, a new figure has emerged at the helm of many of these organizations: the corporate leader who merges master-of-the-universe, robber baron-scale corporate ambitions with political-aesthetic sensibilities that would be at home in the Beatnik 50s or Free Love 60s. These characters score off the charts according to Bobo math: to calculate a person’s status, take their net worth and multiply it by their antimaterialistic attitudes. A fitting name for this odd new lifestyle-leftish corporate orthodoxy might be Countercultural Neoliberalism. Given this state of affairs, it should come as no surprise that the culture wars are absolutely fantastic for business, especially as political polarization has amped up in the last decade or so. Everything from the running shorts we wear to the chicken sandwich we eat has been successfully enlisted in the cause. What cause, you may ask? The cause, of course! It doesn’t always go according to plan. Sometimes the wires show and it comes off as clunky or worse, as in the Kendall Jenner-Pepsi debacle. But often it works seamlessly, and the well-heeled, well-coiffed fakerjack is invented (for example). We also, of course, get the New West, where there’s always a bumper to sticker with a cause célèbre, where there’s always a new Best Town to colonize, and where hell is other people’s fossil fuels. The New West is also where virtually every successful company that comprises what we might call the Recreation Industrial Complex (RIC) now primarily sells sanctimony and only secondarily sells the good or service that keeps its owners and executives well-fed. In a way, it’s an ingenious modern twist on Robinson Crusoe: we should speak only of our arduous journey toward self-actualization but, yeah, by the way, we also happen to be fabulously wealthy thanks to the Brazilian plantation we own. In canyon country, specifically, we can observe how the RIC manufactured both the demand for “Bears Ears” and the satisfaction of that demand. In statistical terms, approximately no one seemed to need to visit “Bears Ears” before December 2016, but now every outdoor athlete with a shoe contract and a Personal Brand to burnish — an “influencer” in the postmodern vernacular — seems determined to make an Insta-pilgrimage to “Bears Ears” or to at least engage in a bit of slacktivism from afar. The hoi polloi cannot be far behind. 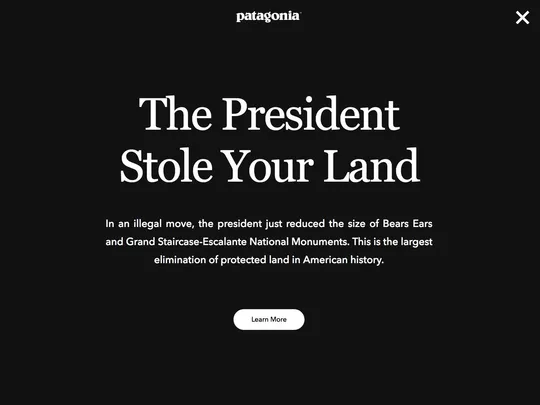 It certainly cannot be said with a straight face that the urgency to both produce and consume “Bears Ears” originated with any of the thousands of people who had never heard of it before it showed up in their social media feed thanks to their status as “follower” of their preferred gear manufacturer (and who immediately felt sufficiently well-informed to voice their very strong opinion on the matter). And finally, also in canyon country, we can look at Moab or Springdale or Torrey and see the logical endpoint of the counterculture-neoliberals’ unflinching manufacture of demand for evermore New West. 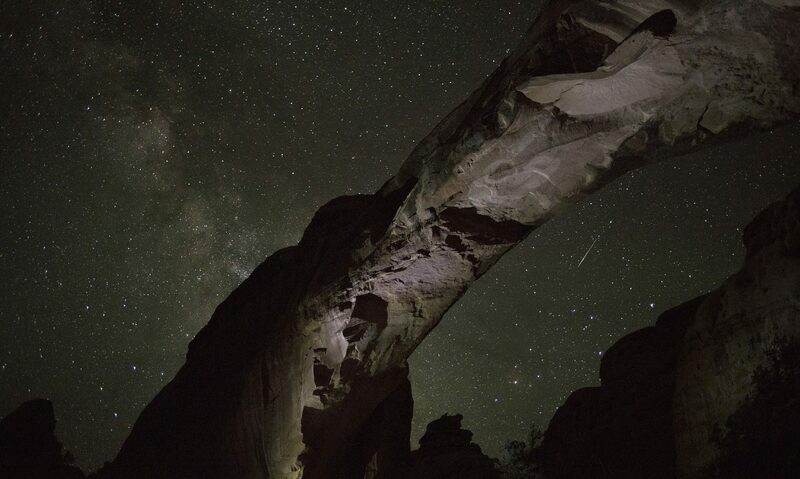 In Moab, for instance, a prospective reservation system to cope with the overtourism of Arches is apparently being met with measured suspicion from some locals thanks to its potential for sucking $22 million from the Moab economy. Shuttle systems like the one that operates in Zion are another popular half measure for managing absurd levels of tourism. And still another commonly invoked solution is to move more off-brand public lands into tourism’s prime time lineup (usually through the sweeping and politically toxic use of the Antiquities Act). But beneath a thin veneer of environmental sensitivity, these still are neoliberal growth schemes in practical effect. After all, such measures only get broad support in the New West if they smooth out the lumpiness of visitation across time and/or space, and pave the way for more net growth in the long term. Support immediately evaporates if the wrong ox is at risk of being gored. 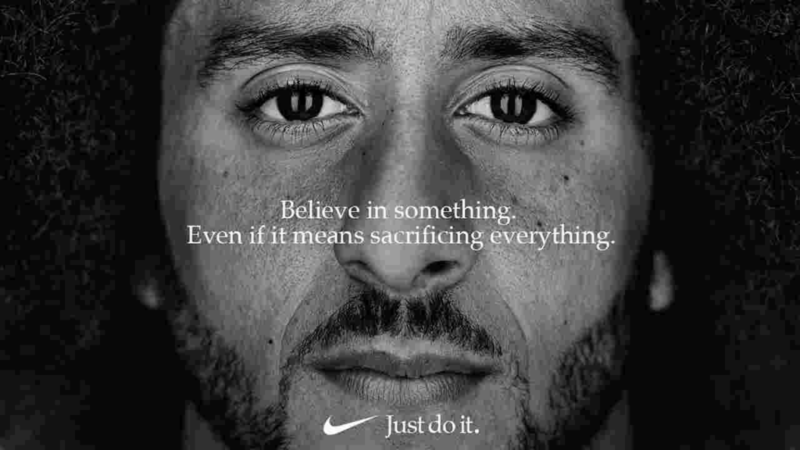 “Believe in something even if means sacrificing everything” indeed. In truth, it has never been more clear that New West orthodoxy revolves around certain sanctioned forms of conspicuous leisure married with an ostentatious yet cost-free performance of wokeness. Low forms of recreation have no place here. The same goes for work, especially stereotypically blue collar work, which is only properly done by suckers, the voluntarily poor, and the occasional moneyed neo-Thoreau anyway. It’s all great for getting clicks, and even better for moving units, pleasing the donor class, and getting out the vote. It is also nearly enough to make a cynic wonder along with Galbraith whether the solution to what pains the affluent lies not in more goods, but fewer demons. As I have written about before, at stake in the Bears Ears controversy is the nature and pace of rural restructuring in San Juan County. As the residents of the county continue to grapple with their predicament, it becomes clear that an under-appreciated cost imposed by the sweeping use the Antiquities Act is in the way it profoundly complicates the functioning of local government. Presently in San Juan County, a variety of economic development tools are being considered or actively deployed. One such tool is a development subsidy generically known as tax increment financing (TIF), which was briefly discussed as part of a longer article in the September/October Zephyr. This policy tool has become a source of considerable confusion and consternation among some locals, not least for the school board that has a central role in its adoption. TIF is used liberally in many places and San Juan County is of course also entitled to adopt it as a policy tool. But as decision-makers think their way through the implications, it is worth carefully considering whether the realities of TIF live up to the promise of its theory. Better yet would be for TIF policy, and the county’s economic development policy generally, to be consistent with an overarching vision for the county’s future. The details of implementing a TIF incentive can be a bit complicated, but the basic framework is fairly simple: local government authorities designate an area as a TIF district and freeze the tax base at a given year’s level. New, qualifying development to occur within the designated district should result in a taxable property value higher than this baseline. The incremental increase in taxable value then becomes a revenue stream that can be tapped to defray up-front project costs. Typical TIF Financial Model. Graphic: Grand River Corridor. A central aspect of the logic underlying TIF policy is that new development within the designated district will not occur “but for” the use of tax increment financing. Therefore, the increase in taxable property value resulting from new development also will not be realized “but for” use of the incentive. The incremental increase in taxable value post-development is framed by this logic as “found money,” which makes the incentive theoretically cost-free to the public. Before considering the prospective use of TIF in San Juan County in more detail, a bit of general background on the development process and municipal finance may also be helpful. When a typical new residential subdivision is built, most constructed improvements — utilities, pavement, curb-and-gutter, sidewalk, etc. — are completed at the expense of the developer and then dedicated to the appropriate public entity (usually the city in which the development is located). In turn, these costs are bundled into the price of a finished building lot or home and ultimately into the mortgage or rent of the people who occupy the property. Commercial development follows the same basic template. This is the essence of greenfield development and, on its face, it seems like a great deal: a cost-free bump to total public assets plus an expanded tax base plus usually the payment of impact fees or other exactions. The Kayenta planned community in Ivins is a great example of the kind of neighborhood that appeals to wealthy New West amenity migrants, and indeed there are aspects of the project’s development practices that are commendable. The project has a minimal disturbance philosophy which limits the amount of native topography and vegetation altered or destroyed during construction, plus strict architectural controls that dictate everything from building materials to colors to (night sky) lighting. Lots are generally an acre-plus in size and homes in the project start at around $500,000, with a median price closer to $1 million. The Bella Vista Apartments in St. George are your typical garden apartment complex, consisting of 148 1- and 2-bedroom residences on about 6 ½ acres. The architecture is quite generic and rent is modest at around $600-$900 per month. 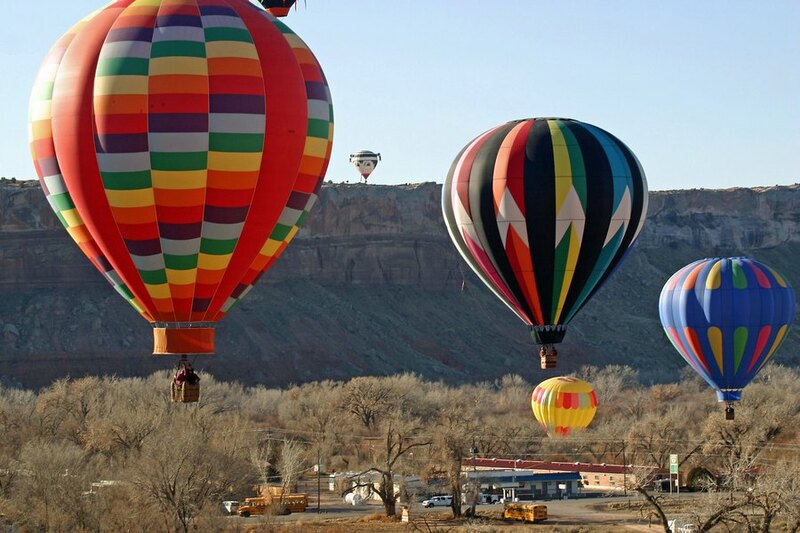 For most people, it is intuitively obvious that Kayenta is the kind of project your town wants in abundance, since it is more aesthetically appealing and seems to indicate that your town is becoming more prosperous. In many people’s minds, a project like Bella Vista is more or less its opposite. In fact, the normal state of affairs is for the residents of communities like Kayenta to oppose (to the point of prevention) the development of communities like Bella Vista, especially anywhere near where they live. But let’s consider the relative merits from a different perspective. Kayenta is located at the far western edge of the St. George metro — about 15 minutes from downtown St. George — miles from almost any commercial or civic services. This means that nearly every ordinary activity of daily life requires a car trip, and a significant one at that. By contrast, Bella Vista is located on an arterial road with ready access to a bus line, and is within walking or cycling distance of employment centers and most services. This combination of factors makes life at Bella Vista far less car-dependent than life at Kayenta. It is also worth questioning which project is truly “limited disturbance,” since the 148 households who live in Bella Vista occupy less land than five Kayenta households. More relevant to our analysis here is the significant difference in the impact of each project on municipal finances. Bella Vista is over 3 times more potent as a generator of tax revenue as Kayenta, and, on the expense side, the public works serving Bella Vista are a tiny fraction of Kayenta’s: less than 4 linear feet of public street frontage per household versus 263. When the roads and pipes in Kayenta need repair and, eventually, replacement, the work won’t be paid for primarily by the residents of Kayenta, but by the residents of communities like Bella Vista. With this background in mind, let’s return to San Juan County and TIF policy. As an economic development tool that seems to pay for itself, TIF has obvious appeal. Still, the empirical evidence surrounding TIF outcomes is no better than ambiguous, and at least a few of the common pitfalls are worth considering in the context of post-Bears Ears San Juan County. To date, San Juan County has formed a Community Reinvestment Agency (CRA) and invited applications for tax increment financing. (Blanding has formed a separate CRA; however, since it is the county that assesses the lion’s share of local taxes, most TIF action is likely to occur within the county’s CRA framework.) So far, two projects have applied for tax increment financing from the county-wide CRA. Both projects are seeking a property tax abatement of up to 75% and 20 years. One proposed project is a 54-unit boutique resort hotel called Bluff Dwellings, which is already well under construction at the mouth of Cow Canyon. 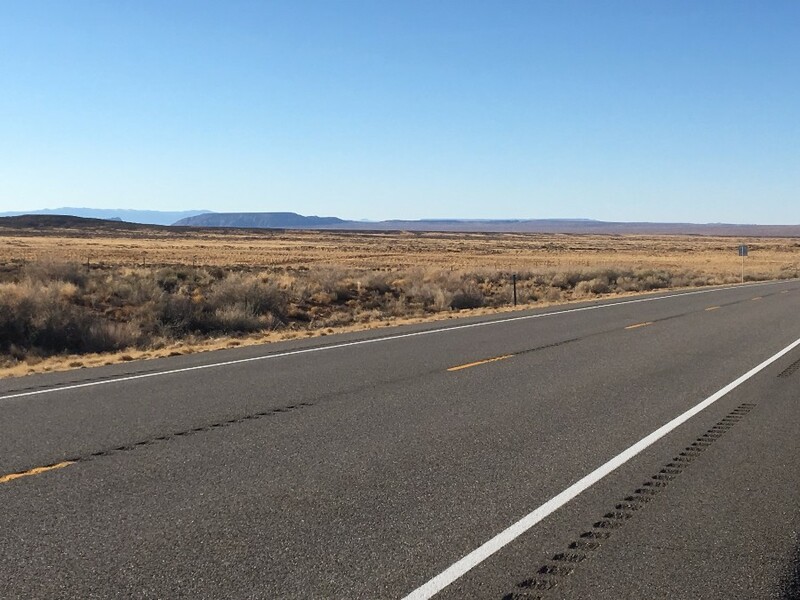 That project is seeking tax increment financing of $458,000, which consists of a $300,000 turn lane into the property from Utah Highway 191 plus $158,000 in other utility improvements serving the project. The second project proposing TIF is a 70-room limited-service flag hotel identified specifically as a Marriott Fairfield. That project location is targeted for a vacant parcel on the north end of Blanding and is currently in the pre-construction feasibility stage of development. The investors in that project are seeking $1,250,000 described as general site improvements like parking, utilities, and storm drain facilities. One common pitfall of TIF can be most easily understood by looking at its use in a different, more common context: given that the TIF subsidy is justified by its promise to stimulate investment where development otherwise would not occur, it should come as no surprise that the classic case for the use of TIF is under conditions of urban depopulation and disinvestment, commonly known as “blight.” Such usage is reinforced by the terminology employed by many jurisdictions when legislating their particular version of TIF, as in community reinvestment or redevelopment acts and agencies. Whether TIF actually works to repair or reverse blight is controversial and fact-sensitive, but the relevant point here is that the challenge facing San Juan County post-Bears Ears is not likely one of stimulating tourism-related economic activity. In fact, the problem is probably about to become the opposite. This would seem to be particularly true of Bluff, which is already actively building toward a future as a New West enclave with its economic conditions dictated entirely by tourism and amenity migration. In technical terms, offering tourism-based TIF incentives in San Juan County right now, especially in Bluff, is using a countercyclical development tool in a procyclical growth context. Put less formally, it is a bit like pouring gasoline on a fire. A second common concern with TIF has to do with the way it influences competitive outcomes. This pitfall operates on two levels: TIF helps determine winners and losers between competitive private enterprises and also between public entities. This TIF pitfall is also more clearly seen by examining its use in an urbanized context where population and economic growth has stalled or reversed. Assume, for example, that a developer is prepared to build a large Costco-anchored project. (A splashier example might be a professional sports team or Amazon’s headquarters expansion.) Since there is only sufficient demand for one such project across a large geographic area, individual cities are pitted against one another to attract the project. This is certainly advantageous for the developer in question, but “winning” is a more slippery concept for the cities involved and often comes down to which city is willing to offer the largest public subsidy, often including the liberal use of TIF. But has the TIF “worked” in this scenario? In a zero- or low-growth environment (or in a greenfield development context) the Costco-anchored project will surely establish a vastly higher property tax value than what it replaces, but ending the analysis there sidesteps the important consideration of any opportunity cost. In reality, the new Costco will inevitably hasten the demise of the prior generation of commercial projects serving the region and almost certainly preclude the development of, say, a Sam’s Club in the area. In this way, the TIF subsidy puts a thumb on the scale between private competitors. ZCMI Mall. Photo: Labelscar/Retail History Blog. And what about the competition between cities? Maybe the winning town is lucky and the projects precluded or made obsolete by the new Costco are located in the next town over. Or maybe not. Maybe, as in the case of Salt Lake City, City Creek kills Gateway kills Crossroads kills Main Street. Either way, what is clear is that the use of TIF does not expand the regional economy, it just hastens the next wave of development and rearranges where economic activity occurs. The main argument advanced in favor of TIF for the Bluff Dwellings project is that the $300,000 turn lane required by UDOT was a surprise cost not discovered until after other approvals were granted and construction started. It would be unusual for such a significant and fundamental requirement to slip through the cracks for that long into the development process, but not unheard of. It is somewhat less plausible that the project would not occur with the turn lane “but for” the use of TIF or that TIF is imperative to project feasibility. After all, construction was already underway before the prospect of TIF grew legs and $300,000 is only 5% of the total project cost of $6 million. (The other $158,000 requested for utilities construction pushes the total TIF requested to about 7.5% of the total project cost, and these items do not appear to be “surprise” or extraordinary improvements that create any meaningful benefit beyond the project site itself.) Keep in mind that no sensible financial pro forma for a prospective development project would fail to include a cost contingency line item in the range of 5-10% of the total budget. The strongest argument for the Blanding Fairfield is that (1) it is a type of lodging that is categorically different from the independently branded lodging in the county, and (2) it will incorporate “Senior Center” and “Convention Center” space into its plan. Taken together, this argument probably makes a stronger case than the Bluff Dwellings resort that the project will produce spillover benefits to the community-at-large rather than solely to the project owners. It is almost certainly true that there is a segment of the visiting public that would stay in a nationally-branded hotel that simply is not currently staying in the county at all. In this way, a Fairfield would not merely take market share from existing motel properties, but would also increase the total size of the lodging market. This would have further spillover to local business owners — like restaurateurs and tour operators — who provide complementary services to Fairfield guests. And if the “Senior Center” and “Convention Center” elements of the project were realized, it would somewhat mitigate the focus on tourism development to the detriment of other considerations. Still, there are considerable risks and obvious drawbacks to this use of TIF. For starters, the amount of TIF requested represents a significant portion of the investment at almost 17% of the total projected budget of $7.5 million. In both absolute and percentage terms, it would be a much larger public subsidy than the Bluff Dwellings developer is requesting. More conceptually challenging, perhaps, are the fairness issues lurking here. For example, while a Fairfield may in fact produce spillover economic effects that grow the wealth of the larger community, such effects would be heavily concentrated in Blanding, whereas the cost of the TIF would be spread across the entire county, including, significantly, to schools in the southern communities of the county that have a very limited ability to capture any of these spillover effects and no substantial ability at all to develop their local economies along similar competitive lines. It would also be hard to swallow the differential tax treatment if you are an incumbent motel owner in San Juan County. Below is an example of the tax potency math introduced earlier, adapted for this specific context. To make explicit the key takeaway, the humble existing mom-and-pop motel would have a tax potency about 40% greater than the national flag property for the duration of the TIF, assuming the application of the proposed San Juan County tax abatement. The particulars in San Juan County would vary somewhat from the example, but the order of magnitude appears to be consistent with the projections in the TIF proposal packet. The fact is that the rolling Bears Ears controversy has, among other things, enormously complicated the normal operation of local government in San Juan County. This is clear in Bluff’s absurd new town boundaries, in the “Make It Monumental” controversy, and, yes, in the school board’s struggle to find a sound basis from which to set tax-subsidy policy. Current conditions are unfair both to local government actors and also to the private parties impacted by policy-making dilemma and paralysis. The macro political condition is similarly grim. These are extremely polarized political times nationally (and even globally). The art of conversation between people who disagree has been replaced by the twin pastimes of “dunking on Conservatives” and “owning the Libs.” It may be depressing that this type of reductive othering of our political opponents has become common, but it shouldn’t be surprising given the bias-affirming monologue that prevails in the rhetorical echo chambers and ideological bubbles into which we increasingly sort ourselves through the real estate we occupy and the media we consume. That’s the bad news. A few months ago, a study was published that perhaps contained a ray of hope. Through survey and analysis, the study’s authors concluded that, even in 2018, sorting Americans neatly into binary partisan tribes is still a considerable oversimplification. Instead, they identified seven discrete political clusters: Progressive Activists (8%), Traditional Liberals (11%), Passive Liberals (15%), Politically Disengaged (26%), Moderates (15%), Traditional Conservatives (19%) and Devoted Conservatives (6%). Furthermore, the authors found that four of these groups, comprising a 2/3 majority of the total, share enough important traits that they deserve to be grouped together and described as the Exhausted Majority. According to the study’s authors, the Exhausted Majority: is fed up with the polarization plaguing American government and society; is often forgotten or overlooked in the public discourse; is flexible and pragmatic in their views; and believes Americans of goodwill can still find common ground despite disagreement. I offer this insight because I bet it rings true to many readers and also because I think it contains the potential for at least imagining a more constructive way forward. For example, a worthwhile process for San Juan County might be a comprehensive county-wide planning effort along the lines of Envision Utah or Vision Dixie. The process might somewhat resemble the San Juan Lands Council process, but would focus on elements entirely within local control. A regional planning push would establish a shared vision and common language that would better enable coherent policy-making by government actors. As it is, the cart is ahead of the horse and public servants like the school board are in the impossible position of working out high-stakes, long term decisions on matters for which no strategic blueprint has been created and for which the body generally lacks the specialized technical background to confidently navigate independently. Ideally, a comprehensive planning effort could have proceeded alongside the Lands Council process ahead of the Bears Ears uproar, but even today such a regional planning initiative might build or repair a measure of community solidarity. A healthy process would implicitly acknowledge a shared destiny and love for San Juan County while also providing space for the differences among its individual communities to play out at the municipal or chapter level. The process also would have the virtue of excluding the influence of groups external to the county. Such planning is not merely a feel-good exercise in participative democracy. Some issues can only be addressed at the regional scale and many more issues are better addressed at that level. None of what I’ve written here is meant to pick on any particular person, project or institution, or to imply that the New West can simply be tamed through proper planning, or that tax increment financing is categorically bad. In fact, I find such blanket conclusions to be painfully superficial. My attempt here is more to encourage dialogue than to prescribe solutions. There are no silver bullets, but having a conversation about your community that spans city limits and voting precincts, and tries to consider the consequences of today’s actions 10 or 20 or 30 years into the future is at least better than not having that kind of conversation at all. Bears Ears Brinkmanship: With Friends Like These, Does Cedar Mesa Need Enemies? In large part, my personal opposition to a large new national monument in San Juan County was always based on a straightforward risk assessment of the likely consequences under “monument” versus “no monument” scenarios. On the one hand, it seemed obvious that San Juan’s high-quality backcountry was unlikely to ever be degraded by extractive land uses irrespective of monument status. Demagoguery about pump jacks between the Bears Ears aside, the region west of US-191 has a very long track record of minimal-to-nonexistent development. Oil and gas production peaked decades ago, and very little even of that past activity occurred inside what became the 2016 Bears Ears boundary. The mining story is about the same. Also, to be comprehensive about the impact of monument designation on resource extraction, any theoretical reduction in extractive activity within a new monument’s boundaries has to be weighed against the certainty of increased extractive activity elsewhere in Utah, as monument designations trigger the unlocking of Trust Lands in exchange for developable federal land. There were also already numerous restrictive designations blanketing San Juan County’s backcountry, including three Wilderness Study Areas totaling over 200,000 acres just on Cedar Mesa. (For context, the effective Cedar Mesa Wilderness is about the same size as Zion and Arches National Parks combined.) Similarly restrictive designations or management imperatives applied to most of the other significant, distinct landforms that are now subsumed by the Bears Ears brand. Arguably, such low-key designations and imperatives are more purely tilted toward the mission of conservation than national park or monument designations, which are geared more toward recreation and tourism. It also never made sense to me to assume that “monument” would work as a magic word to safeguard cultural resources. Only enforcement of the many existing laws protecting such artifacts, or, far better still, a respectful and patient process of public education, is likely to change attitudes and behavior on that front. On the other hand, monument designation would redefine the meaning of the landscape, which would permanently spike tourism and amenity migration to the region, which would in turn significantly and negatively impact the natural landscape and accelerate the socioeconomic restructuring of its gateway communities. So, on balance and compared to many other parts of the Colorado Plateau, San Juan County was still doing awfully well simply by being difficult — difficult to reach, difficult to traverse, difficult to comprehend. Any intervention aimed at improving upon existing conditions would be a delicate process involving considerable risk of costly unintended consequences. The calculus above assumed a generic political climate, one in which the prospective monument got typical (inadequate) funding and modest public attention outside the region. In this scenario, the new monument would be hailed as a landmark victory by Antiquities Act maximalists and received bitterly by those who oppose the sweeping use of that law. The designation would of course drive even deeper the partisan and ideological wedge that exists across Utah’s canyon country and beyond, but otherwise the fallout would be as it has been in the past. Of course, Bears Ears was not created in a generic political environment, but in the aftermath of the acrimonious 2016 election. This detail about the timing of the monument designation turns out to be fairly important yet is consistently neglected in the common Bears Ears narrative. The story usually goes that the monument was designated and then came the provocative and unpredictable Trump, but that actually gets the order of events backwards. Donald Trump was already President-elect when the designation was made. To me, on election night 2016, the decision to designate a large national monument in San Juan County went from being a questionable theoretical proposition to a clear act of environmental negligence. There was no plausible scenario at that point in which the new monument would be implemented with any enthusiasm. A more realistic expectation was for the catastrophe that has unfolded. It turns out Obama’s staff at Interior made a similar assessment of the situation in late 2016, but, remarkably, rather than conclude that designating the monument had become a colossally bad idea, they determined that it was the most responsible thing they could do. We know this for sure because of a presentation at John Hopkins University that involved several monument advocates. Much of the information presented is well-worn terrain, but there are also a number of novel and surprising claims made by all of the panelists. One such nugget comes about an hour into the presentation, when Tommy Beaudreau, Chief-of-Staff of former Interior Secretary Jewell, explains that the decision to launch the monument directly into the current political thresher was done with full knowledge that what has happened would happen. He acknowledges that the administration knew in late 2016 that the monument proclamation would be received as an act of provocation if not a declaration of total war. They knew there was no chance that the monument as designated would be properly funded or any other constructive steps taken toward its implementation. They knew the ensuing controversy would be protracted and the outcome of the fight uncertain. They knew this chain reaction would negatively impact the landscape and its cultural resources. And still they set it in motion. The obvious question is this: how could anyone make a risk assessment even superficially similar to the one outlined at the top yet reach a completely opposite conclusion about what constitutes a responsible course of action? The answer, it turns out, depends on whether you’re trying to protect a place or a particular interpretation of the Antiquities Act. This becomes clear during the same segment of the Johns Hopkins presentation, when Beaudreau explains in clear and relatively detailed fashion that what made some sacrifice of Bear Ears tolerable is that it represents the best opportunity to “prepare the battlefield” for a court fight over the limits of the Antiquities Act. With that, we have a closing statement on how the Obama administration’s approach to federal land management in southern Utah morphed from a version that defined “inclusivity” as requiring cooperation with Old West user groups and competing political ideals to one that defined “inclusivity” along standard left-identitarian lines, in which racial and political tribalism is not transcended, just (ostensibly) flipped. Whether, as an academic question, the Antiquities Act could be used in such a sweeping fashion was beside the point. Doing so was an irresponsible use of executive power. Predictably, this pledge was the cause of considerable consternation among groups who have long calculated that they could bypass the hassle and compromise intrinsic to the legislative process to approximate a Red Rock Wilderness Act one 2-million-acre monument at a time. The beginning of the shift in both narrative and policy can be traced to about 2014 and the merger of the Cedar Mesa monument proposal with the Greater Canyonlands monument proposal. The new and improved boundaries were then rebranded as Bears Ears and the monument issue racialized as some weird sort of half-baked reparations. This history gives further context to Beaudreau’s comments, since the battlefield preparation undertaken by pro-monument advocates obviously extends well beyond literal courtrooms to include the court of public opinion. Playing up the preciousness of Bears Ears does nothing to change the calculus for the (implausible) industrial use of the land, and playing up the essentialist indigeneity of the monument proposal does nothing to safeguard the region’s cultural resources. But both tropes are incredibly useful for framing monument supporters as the kind of people who love nature and archaeology, and monument opponents as the kind of people who shoot guns at rock art and decorate their yards and homes with plundered pottery and exhumed infant mummies. For many obvious reasons, monument opponents have been pretty lousy at influencing public opinion. But they still have friends in government, including more allies in the judiciary than some may realize. At the time of the Bears Ears designation, it was clear that the Trump administration would be naming at least one Justice to the Supreme Court (Gorsuch) and likely one or two more than that (Kavanaugh so far). It was also clear that the Trump administration would be busily filling judicial vacancies in the lower federal courts at the same time as a Bears Ears lawsuit would unfold procedurally. As I write this, that project now stands at 29 new judges named to federal appellate courts, 53 to district courts, and counting. So, the Bears Ears plaintiffs must know that, while they may have been able to steer the case into a relatively friendly court initially, the lawsuit may well ultimately be decided not by a liberal-majority court nor even a conventionally conservative one, but one consisting in significant part of judges groomed and handpicked by a Federalist Society that has declared its mission to include the dismantling of the federal administrative state. The movement to restructure the judiciary has been decades in the making and, now that the decisive moment has finally arrived, there is no chance the architects of this campaign will fail to knock down the pins they have so carefully lined up. A fight over the Antiquities Act is likely to be a fairly minor battle in what is shaping up to be a major struggle to reorient American law, and it is impossible to guess for certain how this structural context will affect the outcome of any particular lawsuit. But it is likely to matter a lot more than all the symposia, opinion letters and amicus briefs devoted to the case. So, when Beaudreau and other monument plaintiffs and their allies discuss the legal fight and express supreme confidence in the outcome, it sounds an awful lot like whistling past the graveyard or, alternatively, a conversation from inside an ideological bubble. The kind of hermetic monologue that has become all too common in modern America’s hyper-polarized political climate. Meanwhile, the human impacts on the region increase bit by bit, just as we all knew they would, and the political discourse around federal land management is more bitter than ever, as was equally predictable. It’s all nearly enough to make you wonder if the Obama administration was originally correct to think that the legislative process is the only responsible way to make complex, permanent, large-scale federal land management decisions. The community of Bluff voted in November to incorporate as a Utah town. In ordinary times, such a step is not unusual or particularly noteworthy. But these are not ordinary times in San Juan County nor are the details of this particular incorporation. The most attention-grabbing fact of the incorporation is its size: 38 square miles, which is more than 60 times the size of Bluff’s present developed footprint. The scale of the new boundary is fairly hard to contextualize, but one way to try is by linking it to population and housing estimates. Bluff currently has a population of 265, a developed footprint of around 400 acres, and a residential stock of 184 homes including both household and non-household units (second homes, vacation rentals, etc.). Effective household size is therefore about 1 ½ people per dwelling unit and net residential density about one dwelling unit per 2 ¼ acres. Using these facts as analytical pivots, we can game out a few hypothetical scenarios about Bluff’s buildout. For example, if Bluff were to continue to pursue a sprawling development pattern of, say, one home per two acres, a housing stock of about 12,000 units would fit within the new town limits. Assuming basically the same household composition as Bluff has today, this would spread a population of around 18,000 people across an area only a bit smaller than San Francisco (population 865,000). If, on the other hand, Bluff were to grow according to a more efficient development pattern yielding a residential density of something like 5 homes per acre, the town could grow its housing stock 11 times over to 2,000 residences without expanding beyond its current developed footprint at all and could build over 120,000 residential units, almost 700 times more than it has today, before running out of land within town limits. Of course the possibility of either of these thought experiments becoming reality is roughly zero. The Bluff Incorporation Feasibility Study projects an average population growth rate of about 0.5%, which equates to well under one new Bluff household per year. Even after accounting for residential demand for second homes and other non-household dwelling units, the study projects a need for less than two new homes per year. Based on these facts, it is quite an understatement for the Feasibility Study to note that “[t]he proposed Bluff Town area has an ample amount of vacant land within the proposed boundaries.” After all, assuming even the sprawling development pattern that typically prevails in the New West, it would take thousands of years for Bluff to reach buildout at the study’s projected growth rate. Given these conditions — minimal development pressure and abundant under-utilized land within Bluff’s existing footprint — the expansive Bluff boundary was obviously not established based on any sort of ordinary relationship between municipal incorporation and the provision of services to a discrete population, either now or in any conceivable future. There is another unusual element about Bluff’s incorporation: the large amount of SITLA and BLM land encompassed within the new boundary. According to the feasibility study, of the 38 square miles contained within Bluff town limits, “SITLA and BLM lands will comprise 16.5 sq miles.” The straightforward reading of this statement is that about 43% of Bluff is non-private land managed by federal or state entities, leaving roughly 57% in private ownership. But even a cursory review of the incorporation map reveals that this cannot be the case, since the property color-coded as private is obviously much less than a majority of the land contained within Bluff boundaries. To independently estimate the composition of land ownership, we can tally the number of township sections in each category. BLM land within the town boundary totals 12 sections in their entirety or near-entirety plus smaller portions of 11 additional sections. SITLA land also totals 12 sections in their entirety or near-entirety plus smaller portions of 7 additional sections. Since each section is one square mile, BLM and SITLA land therefore adds up to almost 24 square miles just counting sections that are entirely or almost-entirely within their ownership category, which is about 50% more than the 16.5 square miles referenced in the incorporation feasibility study. Once the partial sections are also accounted for, SITLA and the BLM may each manage something like the 16.5 square miles referenced in the study. If so, that would mean 33 of the 38 square miles inside Bluff boundaries are BLM or SITLA lands and less than 15% is private property. Whatever the exact figures, the information in the feasibility study is a curious calculation and presentation of the composition of land ownership within Bluff’s new city limits, and begs further questions about the thought process that led to the new Bluff town limits. But before entertaining such questions, it may be instructive to make a short narrative and analytical detour. 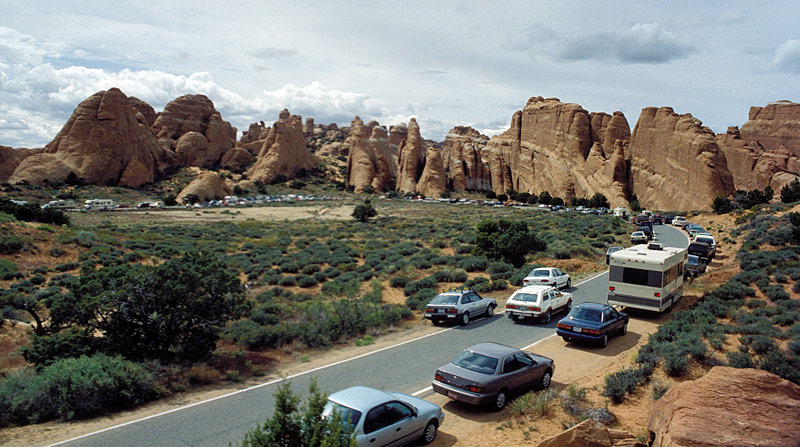 It is entirely likely that the Bluff residents who drove the boundary-drawing process are familiar with the experience of their New West antecedents, including in other parts of southern Utah. In particular, they may have learned some interesting lessons in land use realpolitik from a recent dispute in adjacent Wayne County. The facts of that controversy are as follows. A local road construction company reached agreement with SITLA to undertake sand and gravel mining operations on a 120-acre trust land parcel located in unincorporated Wayne County near Teasdale. Consistent with its ordinary practice, SITLA required that the prospective mine operator secure local zoning approval prior to beginning operations. In this instance, that meant applying for both a zone change and conditional use permit (CUP). The construction company applied for the necessary approvals and the application was met with organized opposition from some area residents. Wayne County eventually concluded that it had no zoning authority over trust lands, and, on that basis, declined to take any action on the zone change application. The county went on to treat the CUP as an independent application and approved the conditional use permit. The opponents of the gravel operation then sued and the trial court affirmed the county’s conclusion that local land use authorities lack jurisdiction over trust lands. Secondarily, the court disagreed with the county as to its handling of the CUP. (Because conditional uses are specific uses permitted within a specific zone, albeit with mitigation of negative impacts, issuance of a CUP cannot be severed from the applicable zone that permits the use in question. To properly approve the CUP, Wayne County would have had to also approve the rezone request.) In effect, the court held that when SITLA submits to local land use authorities, it is engaging in arguably useful but ultimately non-binding regulatory theater. What happened next is interesting. Rather than allow the gravel operation to proceed, as the court had made clear was its right, SITLA canceled the mining lease. In doing so, SITLA cited one of the main arguments of the opponents of the application, namely, that the parcel may have become more valuable as a prospective residential subdivision than as a gravel pit. SITLA then included the parcel in its semi-annual auction of properties deemed suitable for disposal and, in yet another twist, the property failed to attract a bid greater than the reserve price of $6,600/acre. Not from a prospective developer; not from the gravel mining company; and not from the opponents of the gravel mine who were adamant that the property be preserved in an undeveloped state. 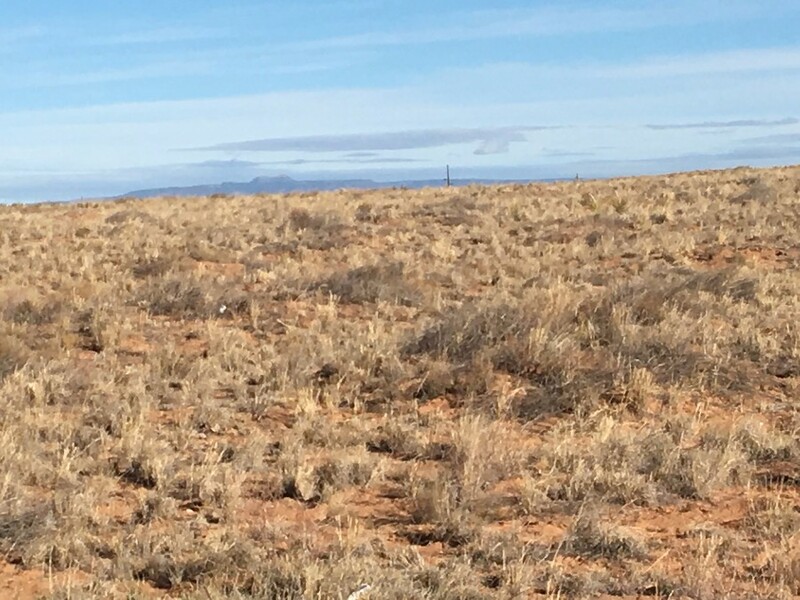 So far, SITLA has declined to say if or when the land may be back on the auction block and has also given no indication that the failure to sell the parcel has caused it to reconsider the canceled mining lease. This episode underscores at least two conditions of land use in Utah: (1) the modern SITLA is not an ideological or partisan agency, but a professional technocracy that must carefully manage its public reputation while pursuing its legal mandate to generate revenue for the beneficial owners of trust lands; and (2) like well-heeled NIMBYs everywhere, amenity migrants wield considerable political power to tilt land use in the direction of their particular preferences even where they lack any legal authority to do so and despite operating within an ostensibly pro-productivist political environment. And so, despite a few interesting wrinkles, this tale from Wayne County is pretty typical of rural gentrification across the Colorado Plateau. Land uses like grazing and resource extraction are especially disfavored by New West settlers, but really almost any land use has the potential to be opposed as a threat to the establishment of a bourgeois utopia. Of course the systematic replacement of industrial-age land uses and social values with their post-industrial counterparts enhances the saleability of the place to the next wave of middle-class amenity migrants who then add their influence to the rebranding campaign. Lather, rinse, repeat. In this account of the process of rural restructuring in the West, generational blue-collar residents lose their grip on their home’s sociopolitical landscape by losing their grip on the physical landscape. But note that this shift is often as much a transformation of the symbolic, social meaning of the landscape as any significant change in its actual use. For example, rebranding the San Juan backcountry as “Bears Ears” changes almost nothing about the landscape in productivist terms, but completely changes its social and economic meaning along post-industrial middle-class lines. Note also that this revolution in sociopolitical status typically occurs well before incumbent locals lose their majority status at the ballot box. In the gentrifying New West, it is rule-by-the-few zoning, not elections, that defines most of the important terms of social and economic life. With this in mind, let’s return to Bluff. View of Bluff Bench southeast across Highway 191. The Bluff Block is a particularly good example of how this wrinkle was ironed out. Sections 32 and 36 of the township in which Bluff is located (Township 40 South Range 22 East) are south of the San Juan River, which makes them part of the Navajo Reservation and therefore ineligible for inclusion in the state’s grant of trust land. In turn, this and similar withdrawals by Congress of lands across Utah triggered an election of equivalent federal land elsewhere as replacement state trust land. The Bluff Block appears to have been assembled in 1977 as one such election in this process of reconciliation. Given the productivity of the nearby Aneth oil fields during this period, it is almost certain that these sections were chosen for their fossil fuel potential. But as yet, after more than 40 years, there has been really no energy development on this particular tract of land and overall oil and gas production in San Juan County has steadily declined over that same period. (2) Negotiated Exchange Lands. The completion of a negotiated exchange is typically triggered by a specific land use conflict. When this sort of exchange is successful at all, it usually involves a years-long process of painstaking negotiation and due diligence. For example, when a large national monument like Grand Staircase-Escalante (GSE) or Bears Ears is created, the Secretary of Interior is directed to acquire the trust land locked within the new monument’s boundaries through an exchange of other federal land of equal value. In the case of GSE, the monument boundary encompassed around 176,000 surface acres of trust lands (and 24,000 acres of subsurface mineral rights), which eventually led to a legislated land swap: SITLA exchanged a total of about 377,000 acres (its GSE inholdings along with other trust land located within National Parks, National Forests, and Indian reservations) for $50 million and about 139,000 acres of federal land. Noteworthy blocks of land acquired by the state through this exchange included a massive tract surrounding Big Water near Lake Powell (a corner of which is now home to Amangiri) and land with high mineral potential in the Uintah Basin. Such exchanges are often hailed as win-win propositions by productivists and post-productivists alike, and in some respects they certainly count as that. After all, a negotiated exchange represents a far more constructive treatment of Utah’s vast non-private lands than the state of “total warfare” that typically prevails. And if we as a society accept the premise that some places are more worthy of conservation than others, it probably follows that resource extraction and other industrial uses should be concentrated in some areas rather than others (not to mention the fact that economic value, whether related to agricultural, industrial or recreational uses, is not equally distributed across non-private lands). But the careful observer may note that there are contradictions lurking here. It may also, by this point, occur to the careful observer that SITLA and rural Utah counties are increasingly placed in a difficult predicament by two major political and economic forces. The first is the shift by the U.S. government from a policy of acquisition and disposition of federal land to one of retention. Starting no sooner than the passage of the Taylor Grazing Act in 1934 and ending no later than passage of the Federal Land Policy and Management Act in 1976, the federal government first tacitly then explicitly ended its policy of non-retention of federal public land. In numerical terms, 816 million acres of public domain land was conveyed into private ownership between 1781 and 2006, 97% of which occurred prior to 1940. One of the results of the timing of this policy shift relative to Utah’s existence as a state is that federal land policy de facto applies not just to federal land, but also to most Utah state trust lands, which amount to roughly 3.4 million acres or 6% of Utah’s land mass. SITLA has a constitutional mandate to use the land under its management to generate revenue for Utah’s schools, but its ability to do this is significantly constrained by the scattered nature of SITLA’s holdings combined with direct federal ownership of 2/3 of Utah. This combination means that most trust land is persistently locked within larger tracts of federal lands, which are managed according to entirely different legal paradigms and for entirely different purposes. The practical effect is that the federal government indirectly controls more non-private land in Utah than it owns outright in 35 other U.S. states. The second major political and economic force painting SITLA and many rural Utah counties into a difficult corner is the colonization of the rural West by the post-industrial professional-managerial class. This is the Wayne County example, in which, despite a lack of local jurisdiction, zoning decisions heavily influenced by amenity in-migrants bend the use of trust land toward the creation of a sprawling, gentrified New West. If extractive or industrial land uses are taken completely off the table, and an area is instead marketed for its value as a New West enclave, the only viable alternative that remains to SITLA is to sell or otherwise develop their holdings for residential, resort or similar purposes. View northwest across Bluff Bench — East Bears Ear in distance. Recapping in chronological order each key trend or event in the life of SITLA’s Bluff Block provides an interesting example of the interplay of these dual forces in real, historical terms. For our purposes, the beginning of the story was Utah statehood and the grant of four sections of each township to be managed according to trust principles for the benefit of Utah’s schools. Over the ensuing 80 years, federal land policy shifted from disposition to retention. Then, in 1977, Utah selected the Bluff Block as an in-lieu exchange tract. Beginning in earnest in the 1990s, New West gentrification spread across canyon country and, not coincidentally, escalating arguments over public lands became a constant feature of the region. And so, by the 2010s, with a Democratic President in the White House, Bluff had become a natural beachhead for the final push for a massive national monument designation in San Juan County. As various competing maps were drawn during the lead-up to Obama’s proclamation, some monument advocates included SITLA’s Bluff Block within their proposed boundaries. At first blush, this made little sense: the Bluff Bench has limited archaeological or scenic value and looping all of it into monument boundaries required a lone, notable incursion east of Highway 191. But some Bluff residents apparently reckoned they could persuade the Obama administration to stretch the purpose of the Antiquities Act to include its use as a potent method of local zoning. And so, at the end of 2016, most of the Bluff Block was indeed encompassed within the monument boundaries as a result of this lobbying. This inclusion of SITLA’s Bluff Block within the 2016 monument glossed over the fact that this tract of land is not only not federal land, but is trust land previously acquired by Utah in exchange for other federal land elsewhere in the state. Pro-monument folks extol the virtues of state-federal exchanges when it’s convenient, but will endlessly demagogue SITLA the rest of the time and even attempt to recapture or otherwise block the use of the very trust land previously acquired by Utah in state-federal exchanges. All of this history and nuance remained unacknowledged by The New York Times (and the many other news outlets who picked up their coverage) when they recently published documents describing how, as one of the final chapters in the story so far, SITLA’s Bluff Block came to be removed from monument boundaries as part of the Trump-Zinke boundary reduction. There has also been, as far as I can tell, no recognition that incorporating something like 33 square miles of non-private property into Bluff town boundaries is a variation on the tactic of including that land within monument boundaries. In terms of blocking disfavored land uses, what may or may not ultimately be accomplished in this instance through use of the Antiquities Act is likely to be fairly easily achieved through garden variety NIMBYism as expressed in the local zoning context. After all, given the endless national controversy surrounding Bears Ears and local zoning dynamics typified by the Teasdale gravel-mine-that-wasn’t, there is now no realistic scenario in which SITLA will ever lease its Bluff Block for energy development or any other significant industrial purpose. Nor is any other economically productive use of the land likely except maybe, someday, hospitality or residential development. That scenario also seems highly implausible given the character of the land in question, but if it does occur, it will be entirely because of demand created by the marketing of Bluff as a New West enclave. This is how a small group of self-serving residents, with significant help from their non-resident allies, will successfully dictate the use of thousands of acres land they do not own and which is not subject to their zoning authority. Such control will either be a superfluous constraint on non-productive lands or will cost San Juan County and the State of Utah millions of dollars in school funding and property taxes. Andrus v. Utah, 446 U.S. 500 (1980). Lassen v. Arizona Highway Dept., 385 U.S. 458 (1967). Harmer, M. Utah’s School Trust Lands: A Century of Unrealized Expectations. BYU Journal of Public Law. Utah School and Institutional Trust Land Administration. Land Exchange Distribution Account (LEDA). Presentation at June 2016 SITLA Board Meeting. Kirkegaard, M. Land Exchanges and Public Lands Bills in Utah. The Hinckley Journal of Politics. House Resolution 4532 (HR 4532 or Act), a bill introduced by Representative John Curtis at the same time as President Trump modified Bears Ears National Monument (BENM), is an interesting piece of legislation that deserves more serious consideration than it is getting. The majority of national monuments are managed by the National Park Service (NPS). The Bureau of Land Management (BLM) and Forest Service also manage or co-manage a number of larger, landscape-scale monuments, including Grand Staircase-Escalante and Bears Ears. A handful of other federal agencies manage the small number of monuments not administered by the NPS, BLM or Forest Service. HR 4532 would depart from this paradigm by delegating principal management authority not to career bureaucrats at federal agencies but to management councils composed primarily of local representatives serving for a limited term. Under HR 4532, the principal administrative authority for the Shash Jáa National Monument would be a body called the Tribal Management Council (TMC), which would consist of seven members appointed by the President after consultation with Utah’s congressional delegation. One member of the TMC would be an employee of either the Department of Interior (DOI) or Department of Agriculture, and the other six would be Utah residents not employed by the federal government. In turn, the six Utah members would be from defined populations: three members of the Navajo Nation, including at least one member of the Aneth Chapter, one member of the White Mesa Utes, and two San Juan County Commissioners. The Indian Creek Management Council (ICMC) would be similar to the Shash Jáa TMC, but with different composition. Specifically, the ICMC would be a five-member council consisting of one employee of the DOI or Agriculture, one representative from the executive branch of the State of Utah, one member of a federally recognized Utah Indian Tribe, and two San Juan County Commissioners. In addition to requiring tribal membership on the management councils, including majority membership on the Shash Jáa TMC, the Act would retain the Bears Ears Commission (BEC) in the same advisory role as established by President Obama’s 2016 proclamation. (The BEC is a five-member body, with one representative each from the Hopi Nation, Navajo Nation, Ute Mountain Ute Tribe, Uintah Ute Tribe, and the Zuni Tribe.) By preserving the BEC, the Act would keep open a channel for incorporating into monument management the insight and input of two contemporary Puebloan tribes who have ancestral roots in the region but have been physically disconnected from southeastern Utah for generations. HR 4532 also requires the formation of a nine-member Archaeological Resource Protection Unit (ARPU), which would consist of experts in the preservation of antiquities and other resources of significant value in the monument. The Act requires staffing each of the Shash Jáa and Indian Creek units with at least 10 law enforcement officers, and appropriates $10.5 million ($1.5 million per year for seven years) for the development and implementation of the monument management plan. By allocating meaningful resources to the monument, the Act could substantially improve the preservation of antiquities and other important resources. The management structure contemplated by HR 4532 can fairly be summarized as orienting decision-making authority at the local level, but within parameters established by federal and state law and with the input and guidance of relevant scientific and cultural advisers. The Act requires the formulation of a management plan that is responsive to the monument’s declaration of purpose and complies with federal laws like the Federal Land Policy and Management Act, Native American Graves Protection and Repatriation Act, Archaeological Resources Protection Act, etc. This planning directive is substantially the same as other national monuments, but the task of crafting and implementing the plan is given to a local management council rather than a federal agency. This approach to public lands management is somewhat similar to that of the 62,000-acre Red Cliffs Desert Reserve in Washington County. In that case, the designation of the Mojave desert tortoise as threatened under the Endangered Species Act led to a multi-entity management compact and Habitat Conservation Plan (HCP). The HCP delegates principal management responsibility to Washington County, with guidance provided by a Habitat Conservation Advisory Committee, a seven-member body with one member each from: the US Fish and Wildlife Service, BLM, Utah Department of Natural Resources, Washington County Mayors’ Association, an environmental organization, citizens-at-large, and the local development community. Further scientific expertise is provided by a Technical Committee made of up government agency staffers, and day-to-day operational responsibility is shouldered by a small staff of employees led by a Reserve Administrator. Funding of Reserve administration is born primarily by the county; in its first 20 years of existence, the average annual cost to the county has been about $0.5 million per year. Of course, Red Cliffs Desert Reserve is not perfectly analogous to Shash Jáa and Indian Creek monuments, but its history may be instructive for anyone trying to better envision the way HR 4532 might work in practice. HR 4532 is not a land transfer bill. The public’s land would not be grabbed, stolen or sold by its passage. The federal government would continue to manage the vast majority of the land in San Juan County, just as they have for decades. For most of the land placed outside the new monument boundaries, this primarily means the continued implementation of the BLM’s current Resource Management Plan. There has been a steady stream of misleading and factually questionable articles suggesting that the point of the monument reduction is to roll back the prohibitions on resource extraction contained in the 2016 Bears Ears Proclamation. It is noteworthy, therefore, that HR 4532 would withdraw from resource extraction not just the land within Shash Jáa and Indian Creek monument boundaries, but the same roughly 1.35 million acres as the Obama-designated boundaries. This bears repeating: in terms of resource extraction, there is zero difference between President Obama’s 2016 Proclamation and Representative Curtis’s HR 4532. HR 4532 § 101(b). PURPOSE. –The purpose of the Shash Jáa National Monument shall be to protect, conserve, and enhance the unique and nationally important historic, sacred, cultural, scientific, scenic, archaeological, natural, and educational resources of the Shash Jáa National Monument. HR 4532 § 3. WITHDRAWAL. Part 5: My Town, Inc.